Let us take your custom digital images or photos, and print them with our edible ink on chocolate bars, CD's. Coins, Lollipops and other unique chocolate treasures, for corporate gifts or other special occasions! 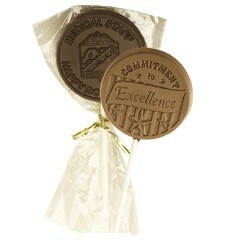 We can take any digital image and create it in chocolate, to make a gift that is sure to be remembered-- and tasted!